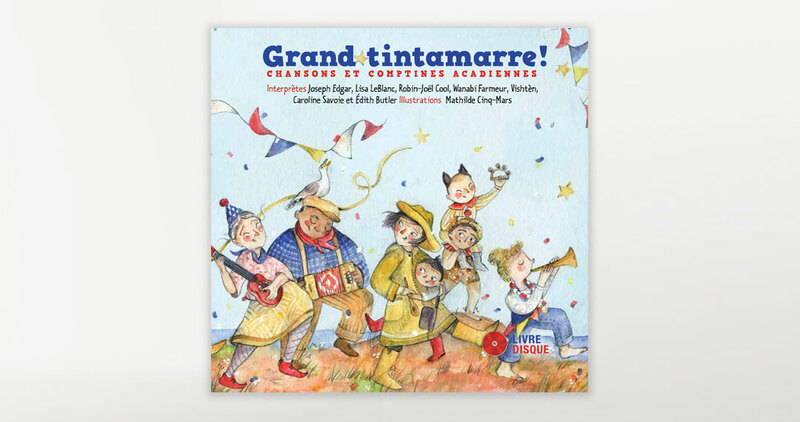 Everybody loves a street party… “Tintamarre” in French means a joyful parade led with noisemakers and improvised musical instruments. More recently, it’s the term used to describe a public celebration in which Acadians, who live off the Canadian Atlantic coast, walk down the street making noise to show their pride, vitality, and solidarity. 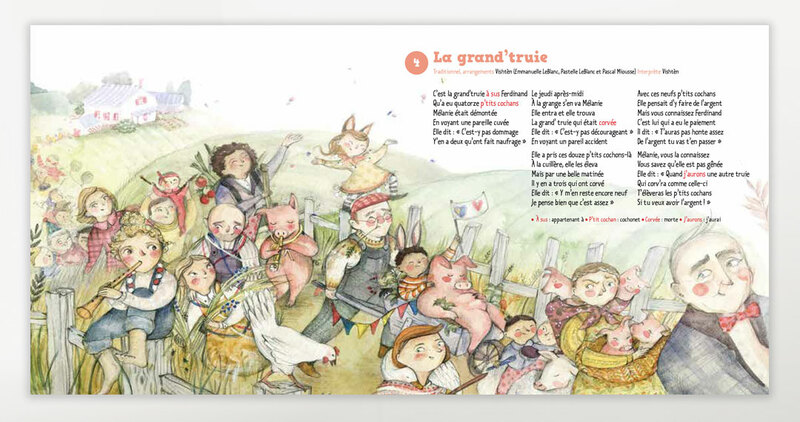 This storybook and CD combination features 15 traditional French-language folk songs and nursery rhymes performed by some of the best-known singer-songwriters from Acadia. Mathilde Cinq-Mars is a graduate of the Université de Strasbourg, France, in visual arts. 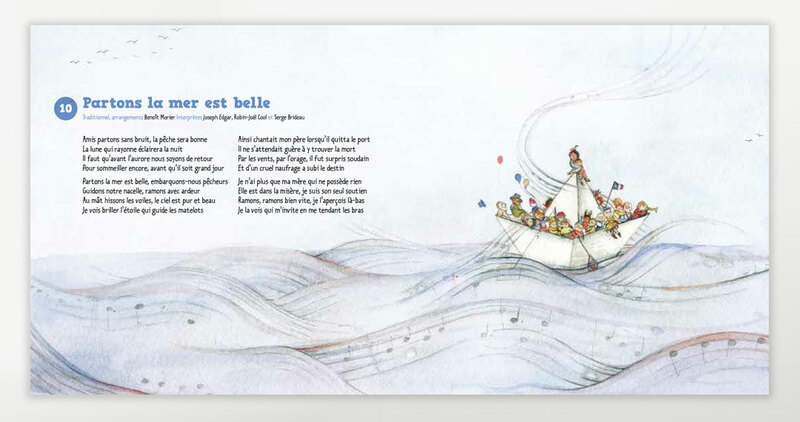 Her illustrations have also been part of exhibitions at the Art Gallery of Ontario, the Seigneurie d’Anhaive in Belgium, and at the Cabinet Amateur in France. 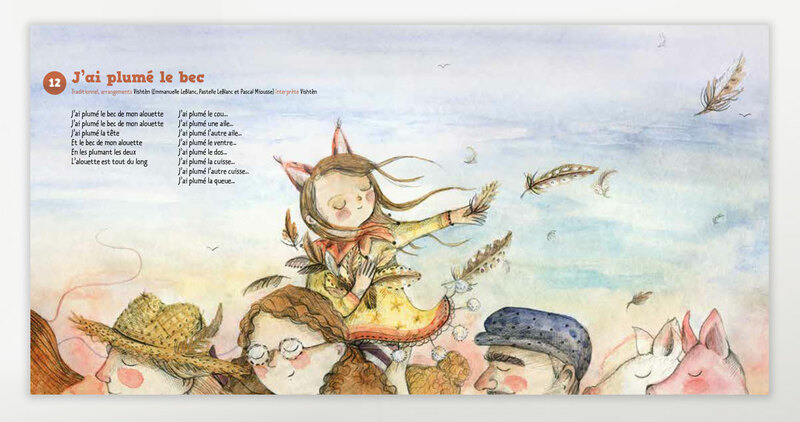 15 songs plus printable PDF file of the illustrations and song lyrics.